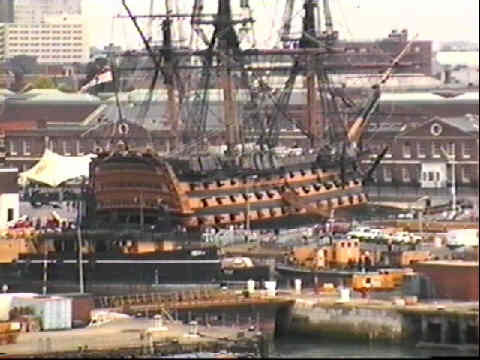 What page on Portsmouth could fail to include the famous HMS Victory, this one starts with two of her. 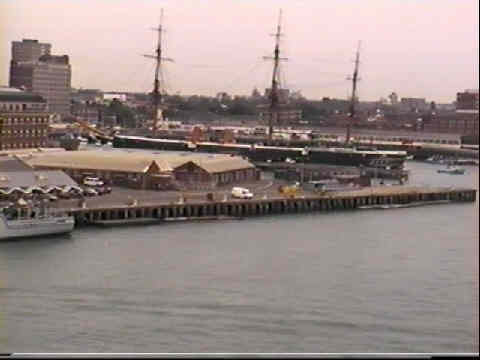 Lord Nelson's flagship is still technically in commission as a Royal Navy ship ! If you're in Pompey then try to make time to visit the Victory, the guided tours are fascinating for young and old alike. The views on this page were all taken from ferries on route to and from France. Next we come to HMS Warrior, the first iron clad warship. Obviously she was still a sailing ship, steam ships had yet to appear when Warrior was built. 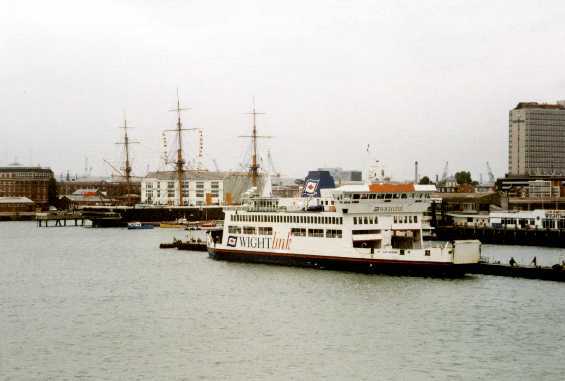 The second photo shows Warrior and a Wightlink ferry. 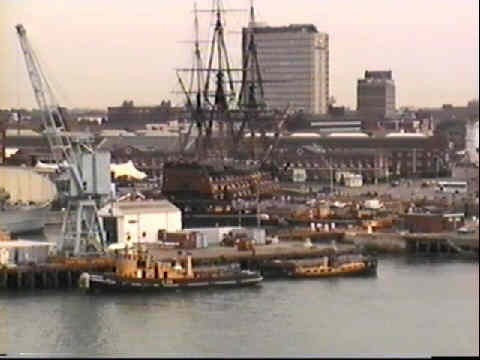 This was taken as the ferry was by Portsmouth Harbour railway station. 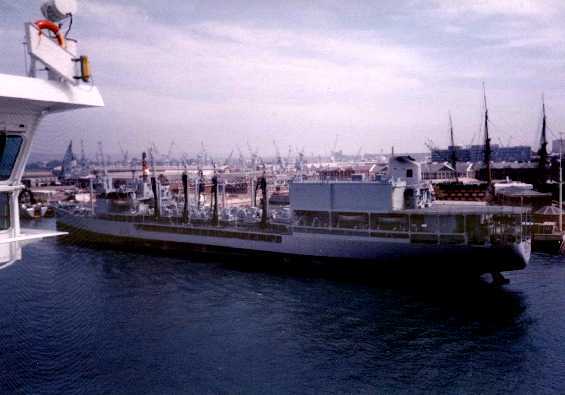 Further up the harbour was this Royal Fleet Auxiliary refuelling tanker, with Victory in the background. 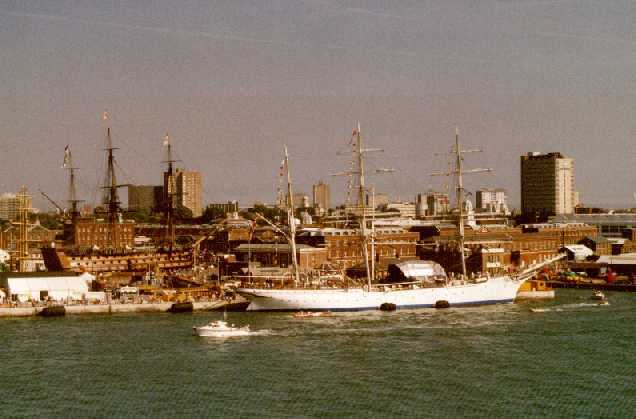 A "Tall Ship" seen visiting Portsmouth for the Festival of the Sea in 2000. 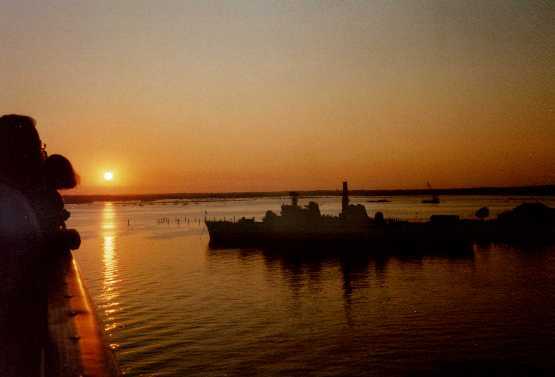 A final view of Portsmouth, the sunset was caught from a ferry manoeuvring out from the ferry terminal.